In few words, the term 4G stands for the fourth generation, and it refers to the fourth incarnation of wireless internet service systems. But how is 4G different from 3G, what benefits does this next generation provide, and will the upgrade be worth it for the majority of users? 4G services are provided by two different technologies, WiMax and LTE. Developed by separate entrepreneurs, these two systems use different shades on the wireless spectrum. WiMax 4G is available to Sprint users in around 30 cities across the United States. LTE 4G is available to Verizon users in nearly 40 cities. In basic terms, 4G services offer faster connection speeds, faster download speeds, and faster data transfer speeds than 3G services. Keep in mind that to take advantage of 4G services, you need to need to have the use of a wireless modem, also known as a wireless Internet dongle, which is compatible with 4G technology. Another difference between 4G and 3G technology is that the third generation relied on a system involving both circuit switching and packet switching. Circuit switching was often a cumbersome way to transfer information and could lead to slower connections. The fourth generation has ditched all vestiges of circuit switching technology and embraced the more efficient packet switching system. With the right internet dongle, LTE 4G providers can offer you download speeds of between five and twelve megabytes per second. WiMax 4G providers can offer you download speeds in the six to ten megabytes per second range. 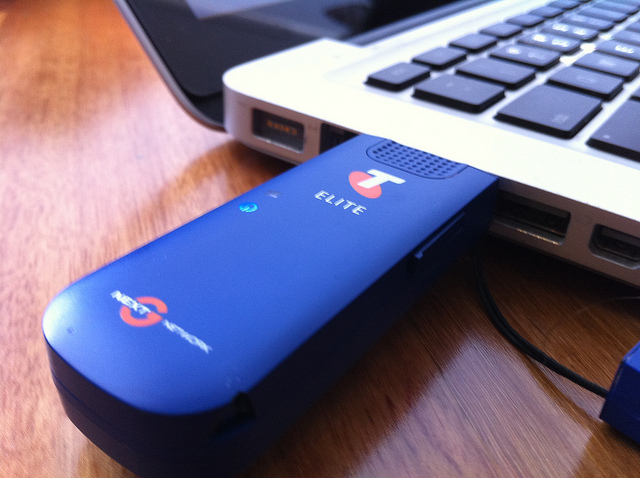 4G technology is a system of mobile broadband that will work both at home and while on the road. In most cases, your new 4G wireless Internet system can replace your old DSL or cable modem Internet access system. The fourth generation of wireless Internet access renders the third generation outdated. Because it only carries data, the 4G system has a much broader range of broadband availability allowing larger amounts of data to be transferred more rapidly. 4G connections also have a broader range of availability. Where 3G networks had at best a range of about ten miles, 4G networks can now connect in a range of about 30 miles and sometimes more if the conditions are perfect. 4G networks also eliminate the numerous connection interruptions that used to take place when transferring from one coverage area to another. Your connection will now be seamless even when travelling. Although 4G networks do not support voice calls, they do support VoIP applications. Vonage, Skype, and other VoIP applications now run faster than ever over your 4G network, and most VoIP applications are either free or extremely cheap. There are currently too few devices that support 4G networks, but this is rapidly changing. New 4G-compatible devices are being released every day, as the technology landscape is known to move quickly every time a new upgrade is released. High-definition digital televisions, GPS devices, smartphones, and even kitchen appliances that support 4G networks are all in the works and should be on the market soon. How to Lock Your Laptop or PC Using Pen Drive? How To Protect Your Online Identity Theft? Greatly shared the difference, came to know many things, pleasure to have this here…….